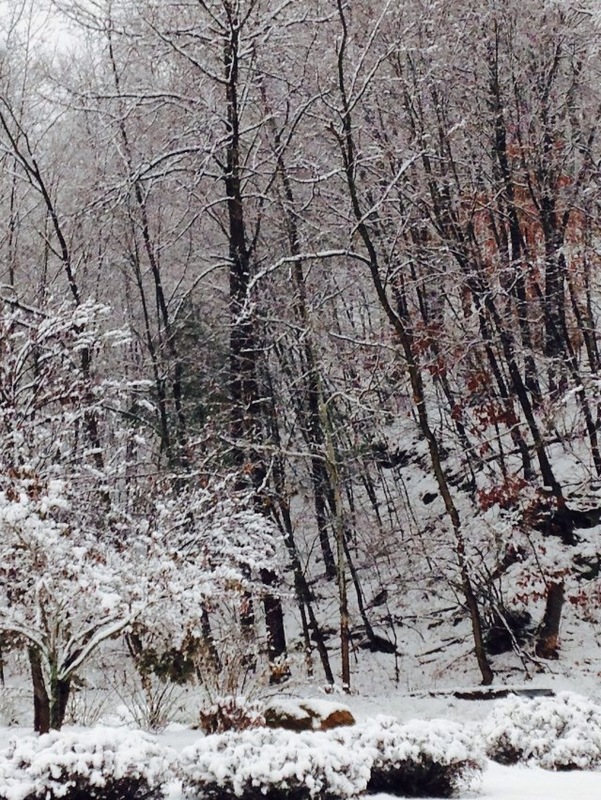 Greetings from a snowy east coast suburb. Over the past 24 hours, hundreds of thoughts have come in and out of my head in regards to the holidays, friends, and family. I swear it was the typical chaos of Thanksgiving travel, compounded by the fact that everyone was trying to squeeze their buses and flights out between storms. This year I am not at home but I know that each new year and each new experience is just as lovely and amazing. 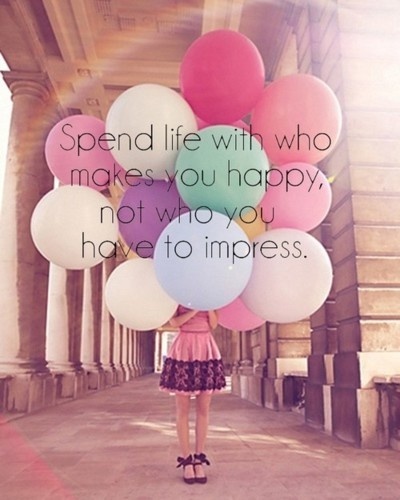 It may not always be how we envisioned life would go, but that’s part of the fun (or so I keep telling myself). What I love about my blog is that these posts can go in every different direction that I chose. As a result, it follows my stream of consciousness and love for sharing (almost) every single thing that crosses my path in the big city. There are good times and there will be bad times. Throughout everything, we make memories and that’s what matters – living life to the fullest in our own unique ways. 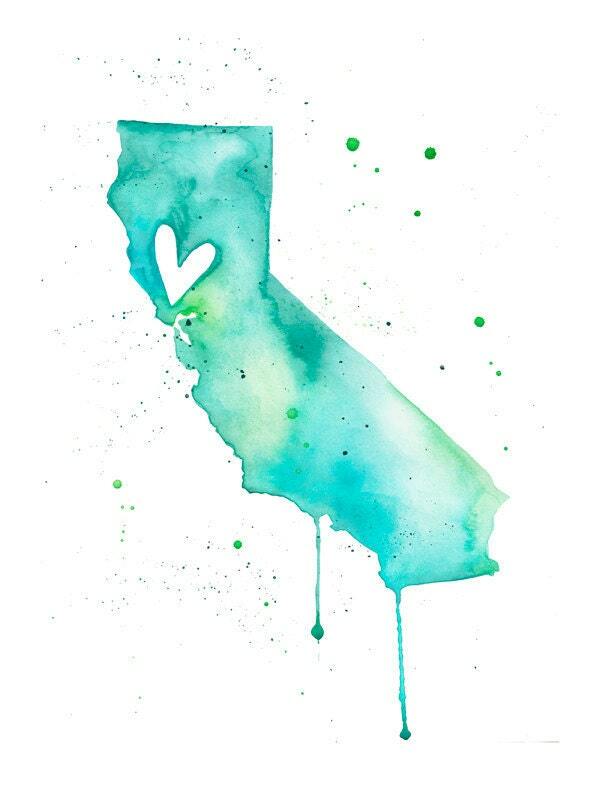 The change in seasons will never get old with this California girl. I may not be able to stop and smell the roses, but I certainly have to remind myself to slow down and absorb the beauty in the corners of this crowded city. So here’s the deal. I ran a half marathon in May and got a PR, but also gave myself plantar facitis. I’m not even sure if one can say they “gave” themself an injury like that. I guess I caused it? Anyways, running has been off the books for awhile. At first I was in denial but I have since come to terms with it and with the help of spinning, hot yoga, and painful massaging, I plan to rehab it back into business. For so long my identity was tied to running and I felt lost without it. What’s great about November Project is that yes, they are mostly built up of runners, but there are plenty who are plagued with injuries such as mine and so we work out in other ways together. On Monday I started talking about the Christmas holidays but let’s backtrack a little shall we? It’s never too early to indulge in some Thanksgiving eats and that’s just what my housemates and I did over the weekend. We each contributed one of our favorite dishes – Hope’s turkey and fantastic caramel apple pie, my cranberry sauce (healthified of course), Lindsay’s epic mashed potatoes, and Gaia’s superb wine selection. Can you believe it’s almost been a full month since the New York marathon (or beginning of November)? 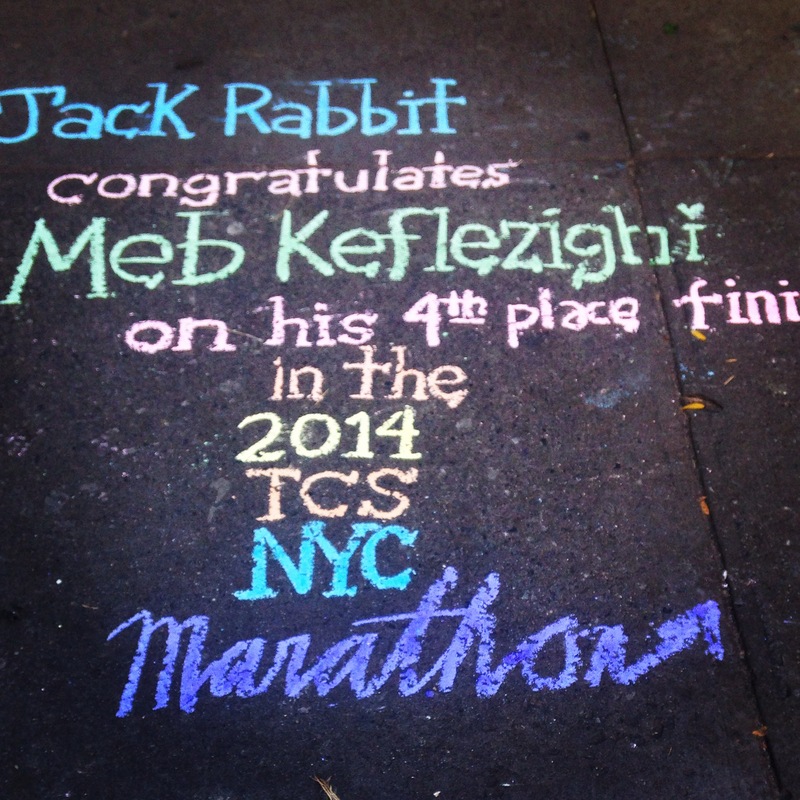 The Monday following the race, I stopped by the upper west side JackRabbit store in order to see Meb Keflezighi (4th place at the NYM and 1st last year in Boston!) Turns out a good deal of New York thought this would be a good idea too and the line turned out to be a 90 minute adventure. Sadly my meager lunch hour did allow for this but I did get to give him a solid high-five upon his arrival to the store. 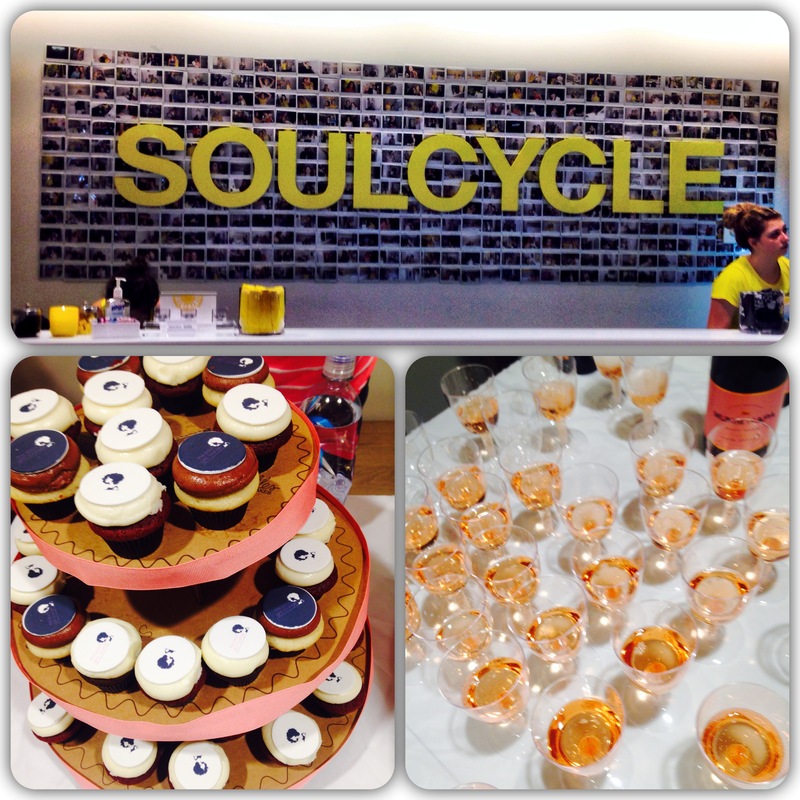 I belong to the Advertising Women of New York and was invited a few weeks back to a special Soul Cycle class. 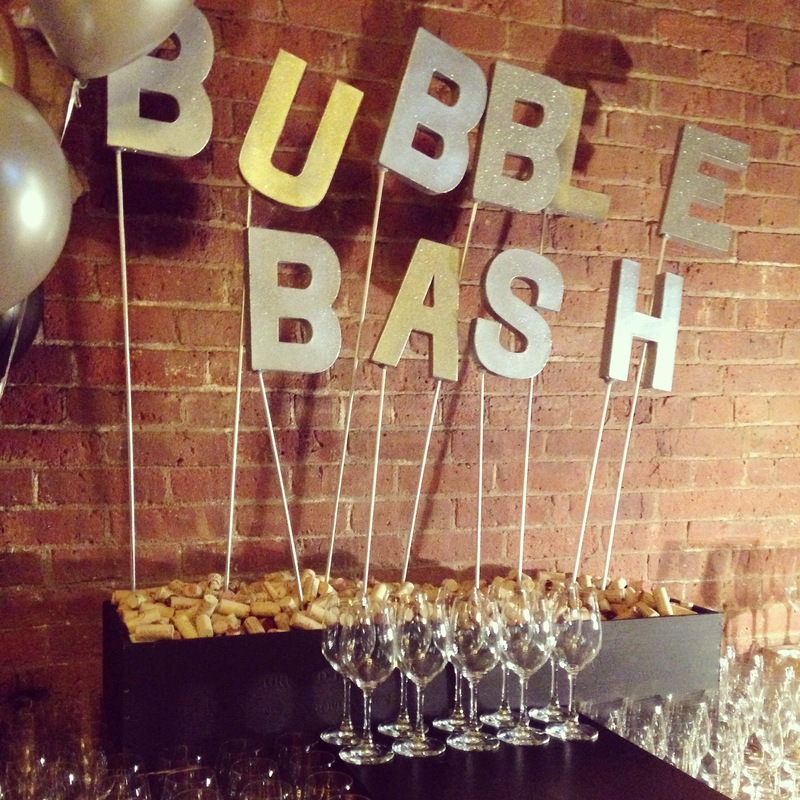 What a better way to network than by sweating and celebrating with some bubbly? I told my mom that I will be celebrating every future holiday by treating myself to a spin class and she just laughed. Ok, she may have been laughing at the fact that I planned out my birthday already…when it’s 6 months away. I mean, never to early to plan, right? I loved listening to Idina Menzel’s voice (Frozen fans anyone?) but honestly felt the acting was a little forced and awkward at times. However, I adored the message behind If/Then – something along the lines of living in the moment and not regretting your decisions. Putting an egg on a burger = genius and never fails. ^^ The flowers would be mine and the gorgeous beach scene would be Lindsay’s. Have you heard of those “Wine & Paint” classes? Well, my friend Marnie had the most brilliant idea to host one of our own? We have a group of friends that gets together every Wednesday for dinner, but this time we decided to spend a Saturday afternoon painting various canvases for the bare walls of her Brooklyn apartment. Just a group of friends getting together and painting all sorts of scenes definitely is my idea of fun. Here we are at Radio City Music Hall for the filming of Michael Buble’s Christmas Special. What we expected and what we saw were two very different productions, but just as festive and exciting. What we had expected was the actual show, however we were the crowd-fillers for the filming of the show, which will air in a couple of weeks. Thus, we were invited to endure multiple takes, a terrible crowd comedian (to get you pumped up), and Michael Buble’s amazing off-screen personality. All in all, a blast and another reminder that New York really does have it all! A couple weeks ago, I was lucky enough to have dinner with my dad while he was in town for business. 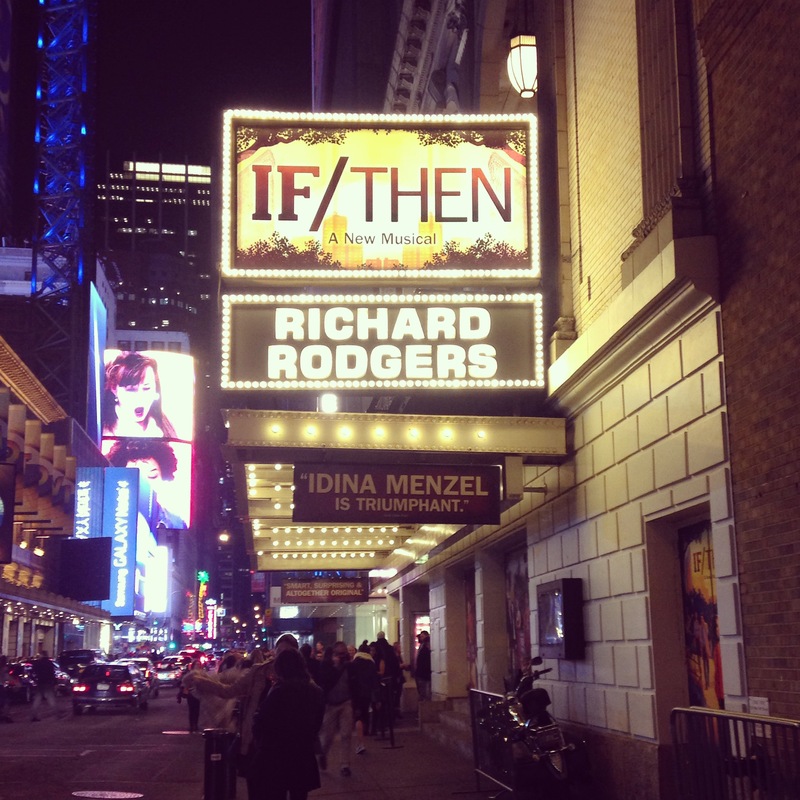 We actually met up twice – once to see the musical “If/Then” and another for a nice dinner at Quality Meats. Oh.My.Gosh. This may have very well been one of my favorite dinners, especially with my dad. 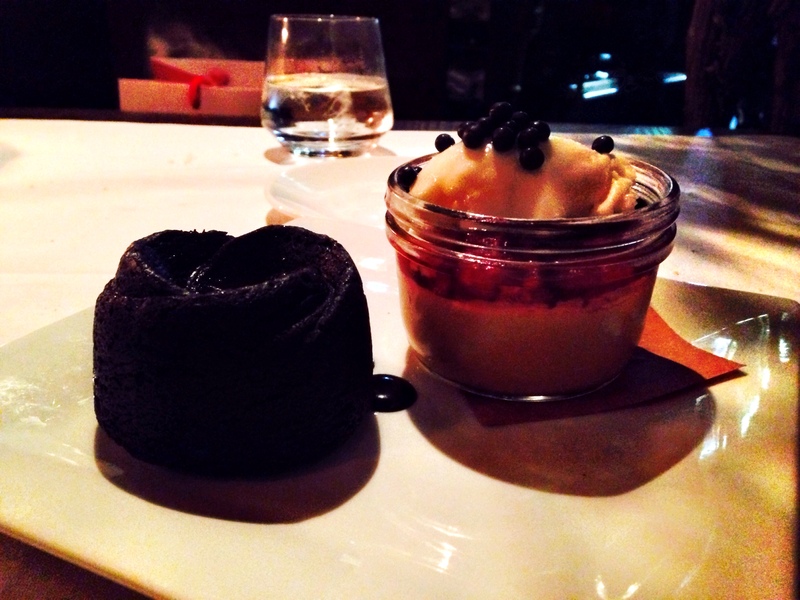 The location we went to was off of 58th, between 5th and 6th avenue and had a very upscale, yet rustic feel about it. Too many steakhouses end up being too dark to see what’s around you – a little sketchy if you ask me. Between the wooden tables and tiles on the walls, it was just the way a comfortable steak house should feel. My family has always been interested in the food industry and over the years we have been able to test out a number of different and often unique restaurants. One of my grandfathers actually worked in the food business with Lawry’s Seasonings and was involved with the Prime Rib restaurants, so we tend to gravitate towards the steak and seafood genre of restaurants. The big debate always becomes, do we go fish or steak? Fish for heart health or meat for some iron since I rarely buy it myself? Well, when the name of the restaurant actually has “meat” in the title, I guess it’s a sign. Now how unique is that? Serving bread rolls right in their pan, hot out of the oven. The buttery flavor reminded me of my grandma’s famous Thanksgiving rolls, mixed with good ‘ol store-bought Hawaiian rolls. We splurged with appetizer of crab and avocado. Normally my dad would order a Caesar salad to start, so I was so proud of him for going rogue and indulging in a little foodie fun. Now time for the moment every diner is waiting for…MAIN COURSE TIME! We decided to split the Porterhouse for two with filet +sirloin. Per my request, we asked for the meat on the medium to medium rare side. Like other steakhouses, one is instructed to order the main course and then a few sides for the table. We decided upon asparagus and waffle fries, although I could have gone for some Brussels Sprouts and Yorkshire Creamed Spinach. Now, we had our fun in trying something new for our appetizer, so I decided we could go with something classic. 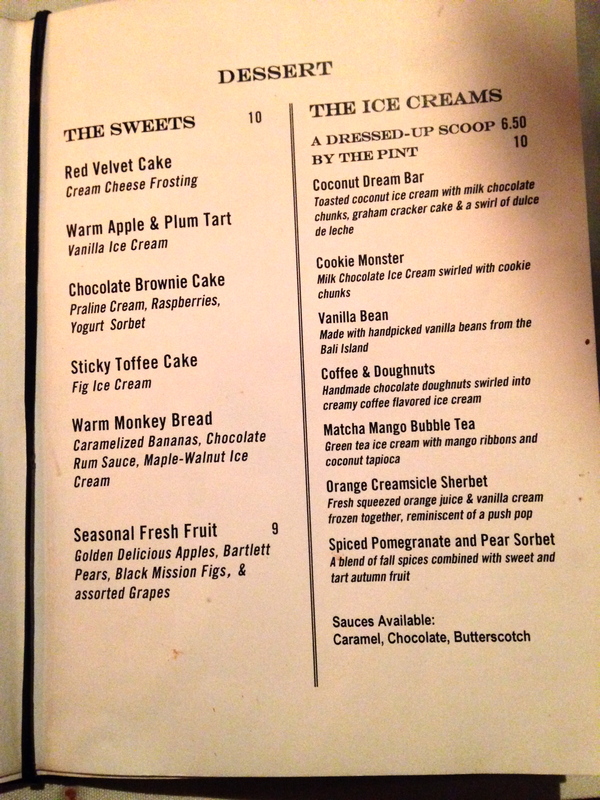 Although, all of those ice cream combinations did sound divine, or at least out of the ordinary. When one lives in New York City, there are endless opportunities. This includes jobs, places to eat, things to see, places to go, etc. Sure, we don’t have too much in terms of the “great outdoors”, but if you are creative and willing to try something new, I’m sure you will find something. It has been so much fun having one of my friends live from home join me out in the Big Apple. 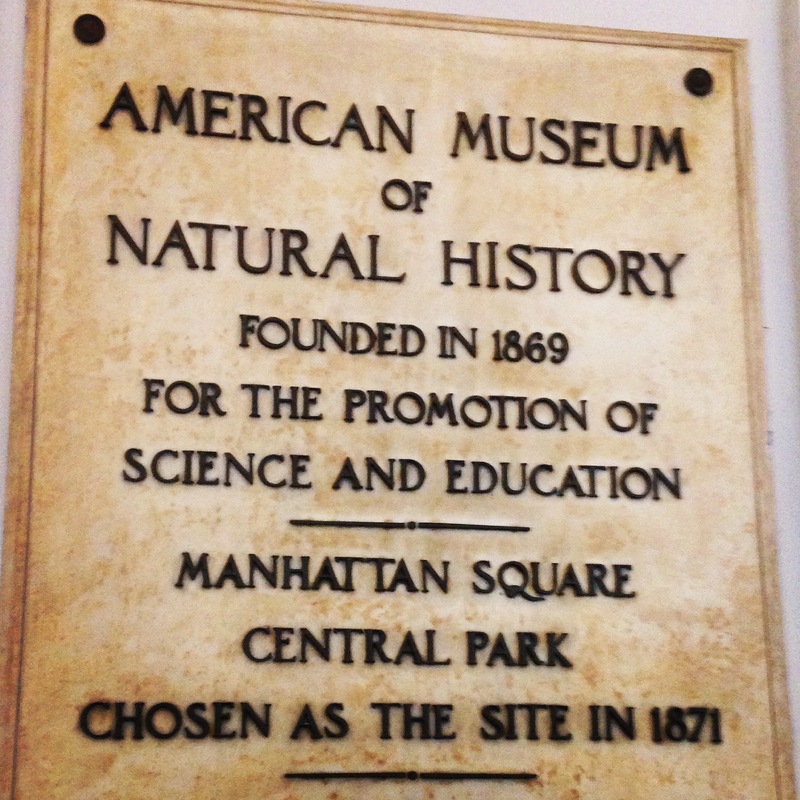 Lindsay and I have made some excellent memories by wandering the parks, shopping along 5th Ave, and testing out some of the top museums. Always a classic. Lucky for us, my work offers a corporate discount into the museum, so we can pretty much pop in and out whenever we please. Although, I keep thinking that Ben Stiller or Robin Williams will show up at some point as if I’m in the “Night of the Museum” series. I really should snap a picture every season of this walkway in Central Park. 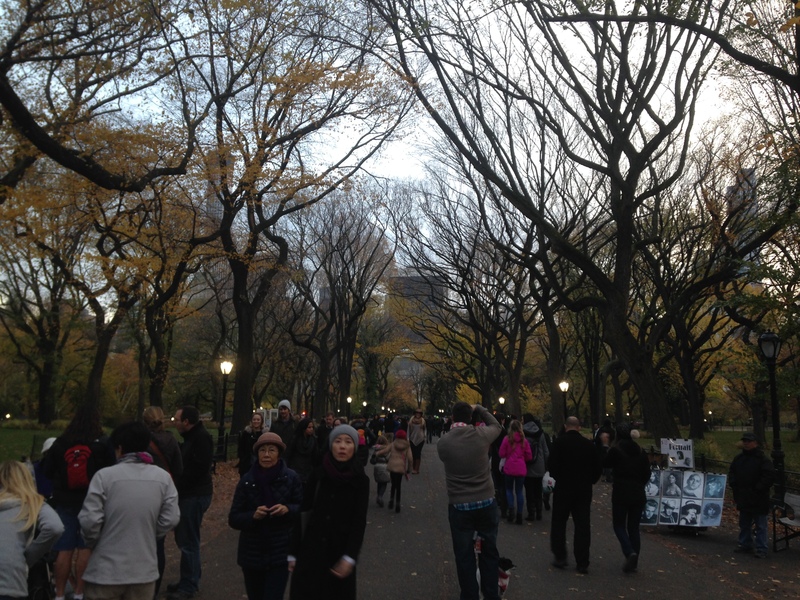 It’s yet another picturesque place to be when the leaves start to fall and people walk around all bundled up. 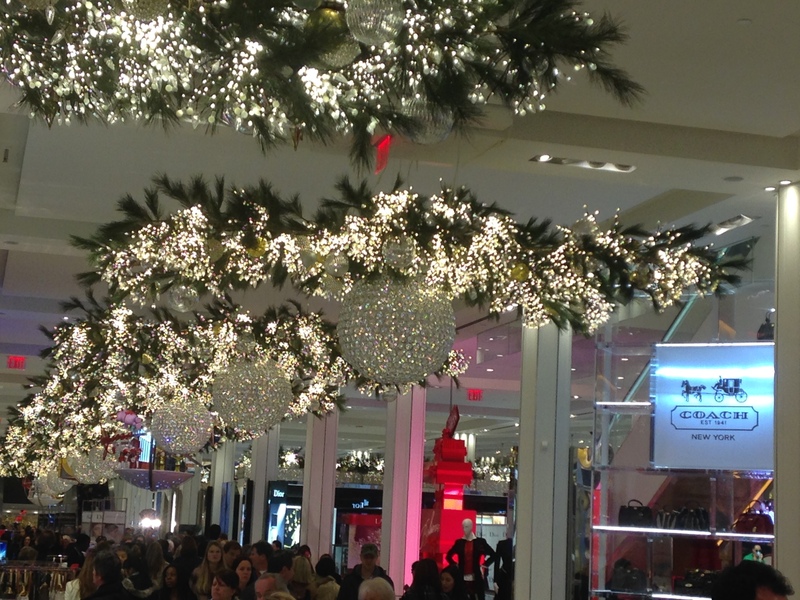 Christmas has arrived at Macy’s! 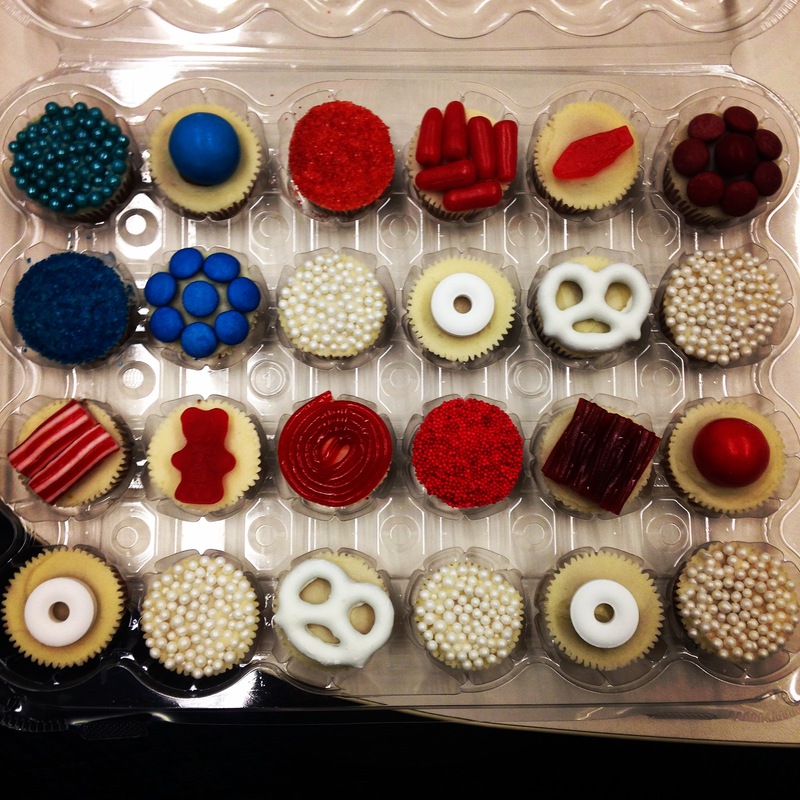 Veteran’s Day cupcakes by one of the people at my work. You can find her on Instagram @cupcakesbyjana and see all her mouth-watering and absolutely adorable creations. I love that she has such a passion for these treats and it’s a fabulous hobby to have! Lindsay, Gaia, and I went to see “Intersteallar” in theaters last week and I have to say, it was amazing. 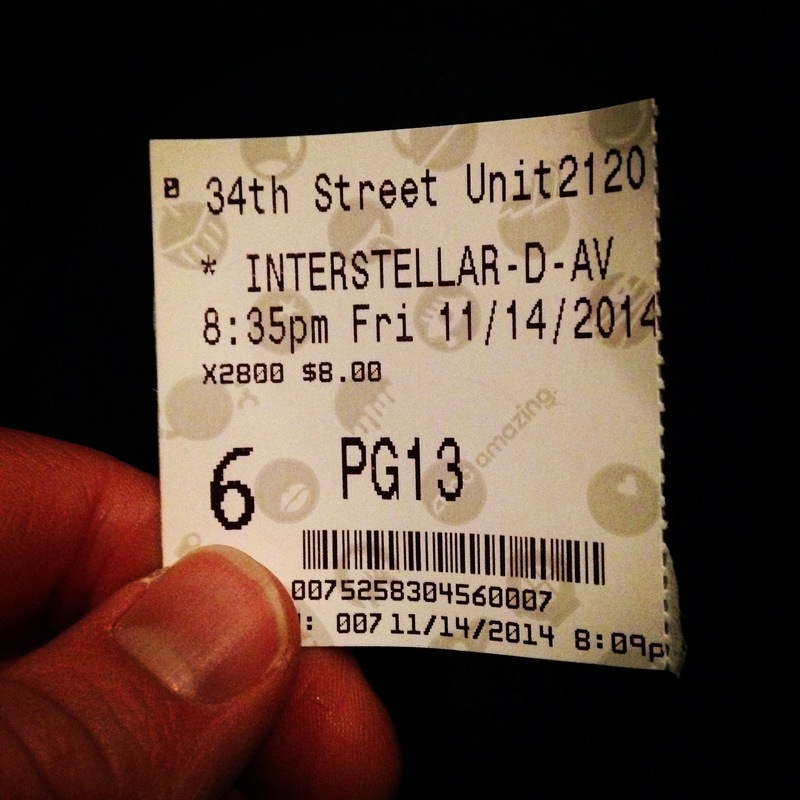 I can’t even remember the last time I went to an actual movie in the theater, but the expereince was long overdue. Too often (such as now), I find myself popping in a movie in the background (“You’ve Got Mail” as I type this up) but end up distracted as I blog, clean, craft, or chat with my roommates. I never was able to see Gravity, so I can’t really compare the two, but this was much better than any other world-ending, civilization at risk types of films. 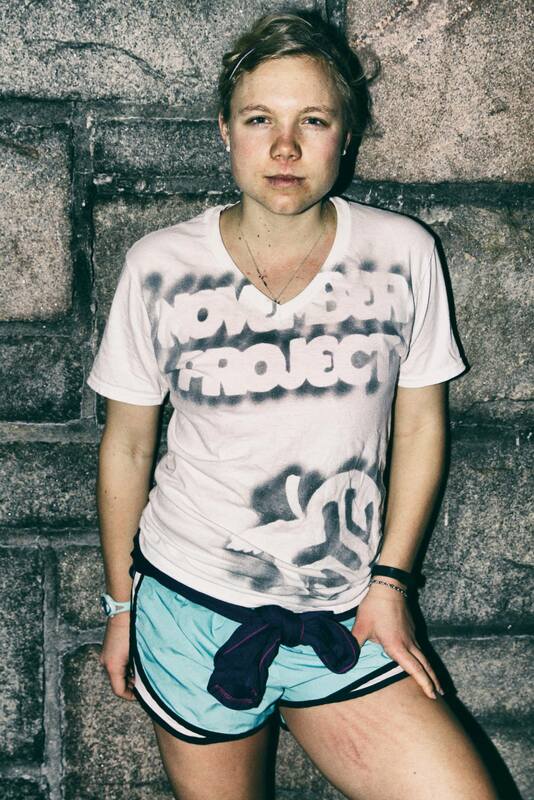 Yes, I understand that this (and sometimes all of November Project) is a bit intense, but it is awesome. My mom told me that I looked like I was a part of “Orange is the New Black”. Thanks but no. She redeemed herself when she told me that she had watched a few of the NP videos and told me that she understood why I loved it so much – it’s so “me”. I guess this statement only makes sense to those of you who know me in person, but the ability to put all your emotions and energy out there, to work out with people who enjoy it just as much (if not more) as you – it’s a dream come true. 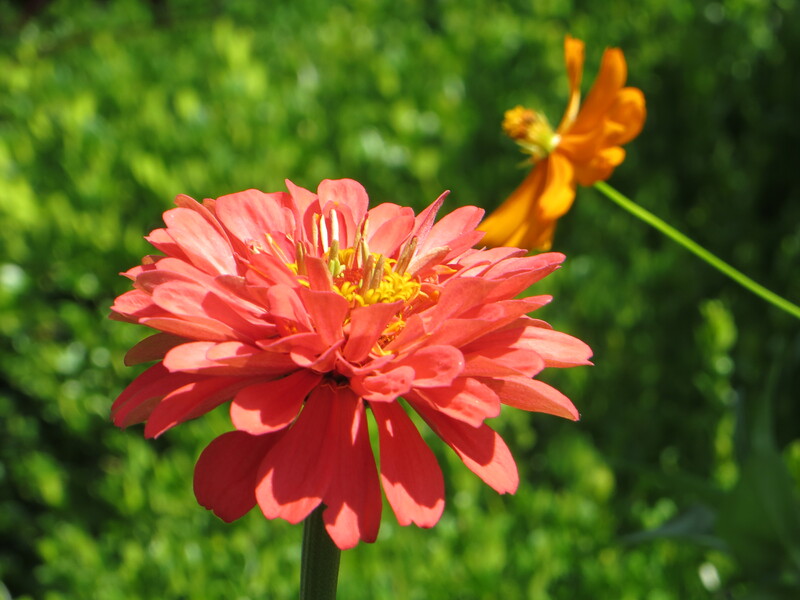 Annnnnnd I’m back after a short blogging hiatus. Lots and lots has been happening in the past months – nothing news-breaking, but still enough to make me take a little break from my good ‘ol date sessions with my Mac computer. Really, I have started to realize that it is tough to manage it all – social life, work life, exercise, blogging, etc. Talk about becoming an adult, right? 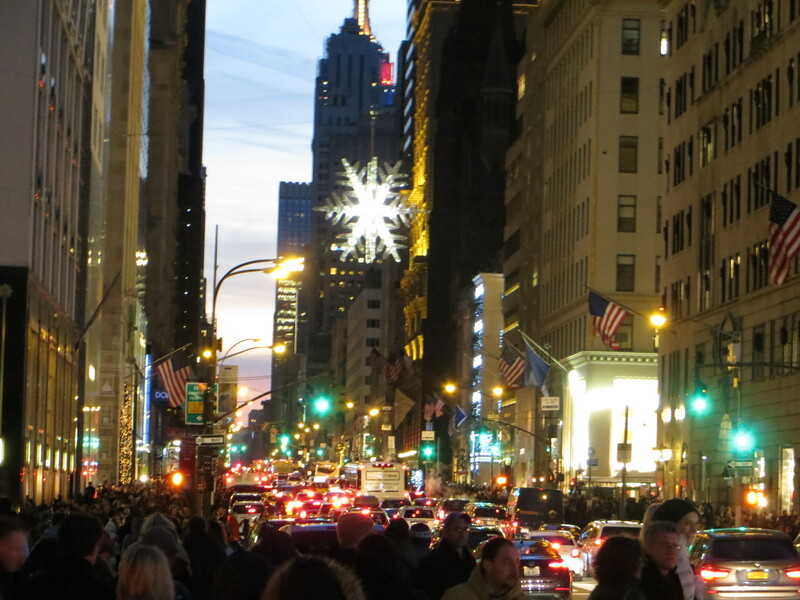 Well, enough of that jibber-jabber, let’s move onto what’s more exciting – holiday festivities in the city! Too early for Christmas festivities? Tough because this city is almost in full swing. Decorations have been adorned on the stores of Fifth Avenue, Starbucks had its holiday drink happy hour, and lights are popping up on every corner. Not to mention all the advertisements on TV and there are so many Christmas movies on Netflix. I would say we started watching the Hallmark Holiday Channel or better yet, ABC Family’s Christmas marathon, but we are sans cable, so that’s for another year. However, on Sunday we found ourselves in possession (legally aka we purchased) of holiday bowls from Crate & Barrel. I mean, doesn’t it make you smile to think of eating breakfast oats or maybe a dinner salad or soup in this cute bowl? Sidenote – right before we walked in, we saw Mario Batali! First famous person sighting in New York and I’ve lived here for an entire year! We were actually more obsessed with his adorable dog (I’m thinking labra-doodle?) but then someone noticed the fact that this man was wearing orange Crocks, a very signature Mario look and we put two and two together. A little successful shopping at LOFT, Trader Joe’s, and a pair of earrings from St. Mark’s, it was time to rest back at the apartment. For anyone starting out at their first apartment (or even college dorm room), you will understand how difficult it is to make the room your own and make it feel just like home. We have finally been able to do that with our thrifty IKEA shopping (props to my roommate Gaia! ), the gifting of one comfortable couch, candles, and basic TV channels. Just having the ability to wake up and watch a little bit of the TODAY Show or football on the weekend, it’s perfect. So, that all being said, there is nothing better than spending your Sunday with Christmas with the Kranks. Tim Allen is just too darn funny and with a chill in the air, the temperature in the 30’s, watching a movie sounded like just the right idea. 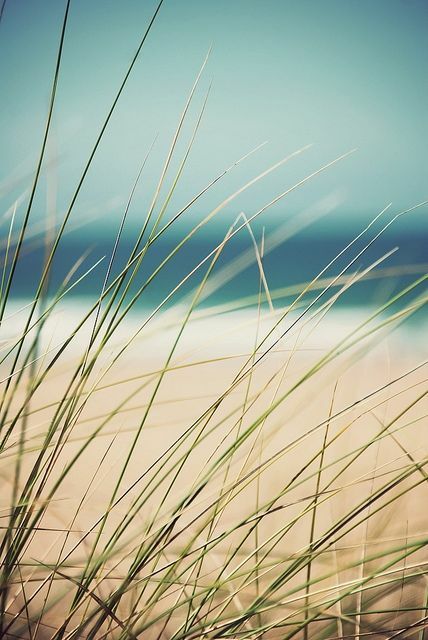 How do you like to spend your Sundays? Are you getting ready for the holidays yet?